Matt’s birthday present is a pair of walkie talkies and to try them out he and his mate Nick decide to become secret agents. Their first mission brings them up against Agent Zit Face – #1 enemy and his cohort Older Teenage Female. This mission doesn’t go as planned and they have to consider their options. In the process of a mini rescue mission they uncover a real life crime that only they can prevent. A fun story told with a bit of cheekiness, as found in young boys, and accompanied by black and white illustrations. 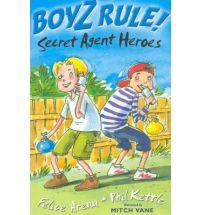 The dialogue of the two main characters is set out like play text enabling it to be read by friends or acted out for fun, this gives these books (Boyz Rule series) a whole different dimension. Its short format and simple language make it a good choice for beginning readers. There are four pairs of boys in these stories and the covers are colour coded so you can tell which stories are about the same boys. George and Harold love their pranks, they also love the comic book series they created called Captain Underpants. They love it so much they sneak into the office at school and make copies to sell. Along the way though they have made an enemy of their principal. When he gets the the upper hand they plot their dastardly revenge, only it doesn’t go quite the way they planned. In the process they bring their own superhero to life and have to make sure he doesn’t get into any trouble. A fun and thoroughly silly read with plenty of cartoon-like illustrations. Very appealing to young boys (and some girls) who are fond of toilet humour and silly pranks. I wish I knew where to get a hypno ring that worked. Percy has been booted out of many schools, things just have a tendency to go wrong around him. He has ADD and dyslexia but is about to discover that that is the least of his problems. His teacher is a centaur, another teacher is trying to kill him and his best friend (Grover) is a satyr. It turns out that Percy Jackson is a demi-god, not just the son of any god but the son of Poseidon and Zeus isn’t happy. he thinks Percy has stolen his lightening bolt. 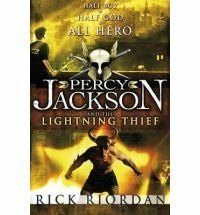 Now Percy has to negotiate his way around Camp Half-Blood, avoid the bad guys – who have stepped right out of the pages of a mythology book, find who has the bolt and return it to Zeus before all hell breaks loose. This is the first of the Percy Jackson books and I loved it. 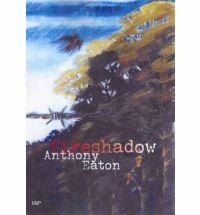 It moves at a fast pace which makes it a good choice for both avid and more reluctant readers. Possibly more suited to readers age 10+, there are battles and as such violence. Appeals to girls and boys alike. Kai Masters is a border guard, guarding Earth from the monsters from Beastium. He lives in a modified lighthouse with his robodog BC and together they battle monsters. This is a fun little read, much like the script for a role playing game complete with monster card illustrations. There is no interaction, just story but if you’ve ever gamed you will know what I mean. 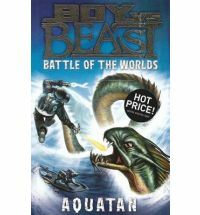 This is a large print format book, ideal for beginning readers and also includes a few illustrations (apart from the cards) and a short cartoon style battle. I think these books would have great appeal to young readers (probably more likely boys) who enjoy adventure stories.